The clouds in the middle looks like a frogs head. The cloud on the right of the bigger cloud looks like a toucan. 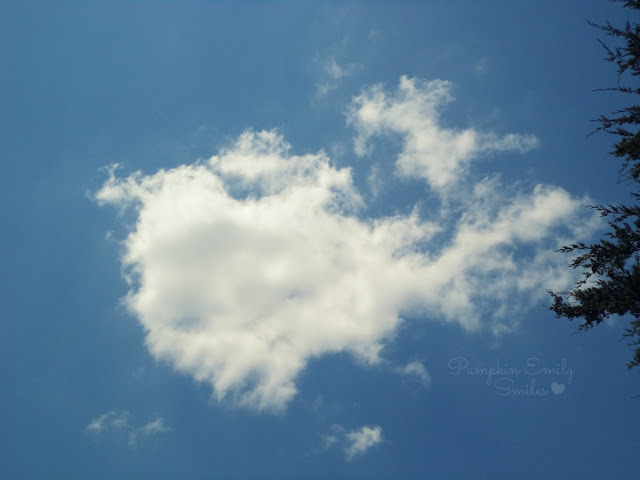 What do you see in the clouds?